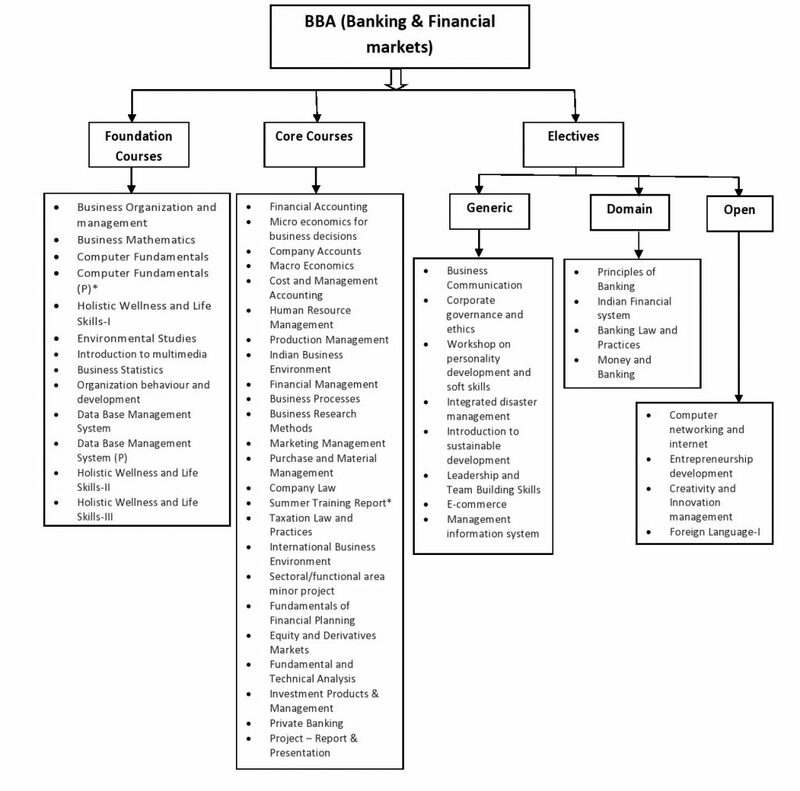 BBA (Banking and Financial Markets) is conducted in association with ICICI Direct Centre for Financial Learning (ICFL). One course in every semester is delivered by ICFL experts. The following Foundation Courses, Core Courses and Elective Courses (Generic, Domain Centric, and Open) shall be offered during the Bachelor of Business Administration (Banking and Financial Markets).